It's increasingly becoming more important for us to have high-speed Internet access wherever we are—especially, for example, on our laptops when we're working on the go. Mobile broadband devices allow us to tap into a wireless carrier's ​4G or 3G network from our laptops and other mobile devices for always-on connectivity. Here's an overview of the different ways you can get 4G or 3G Internet access on your laptop. Most of the latest laptops, netbooks, and tablets offer a mobile broadband option, where you can have a 3G or 4G card or chipset built into the laptop when you order it (for an additional cost). You'll have to sign up for mobile broadband service, but often you'll be able to select the wireless service provider. Pros: Convenience of having mobile wireless connectivity already set up as soon as you get your laptop (no need to install your own mobile broadband device); less obtrusive than a USB 3G or 4G laptop stick. Cons: Not transferable to other laptops or devices. Example: In the configuration options for the HP EliteBook 2540p ultraportable laptop, for example, there's a drop-down option for HP Mobile Broadband that will add the "universal mobile broadband module" to your laptop. The module works with Verizon Wireless, Sprint, and AT&T wireless data services. If you don't already have a mobile broadband card built-in or want a separate device that you can use with more than one laptop, a 4G or 3G USB modem (a.k.a. laptop stick) is easy to install—it's plug-and-play like most USB sticks. USB broadband modems typically cost under $100. You can buy the laptop stick and sign up for the mobile broadband plan directly from the wireless provider or retailers like Best Buy. Pros: Can be used on different devices (e.g., switched from one laptop to another). Some laptop sticks also function as USB thumb drives for portable storage and other useful purposes. Cons: Sticks out of your laptop's USB port; easy to misplace or lose. Example: The Virgin Mobile Ovation MC760 USB Modem taps into Virgin Mobile's 3G network, while FreedomPop's USB Modem offers free 4G wireless internet access over Sprint's network. Mobile hotspots can be either hardware devices like FreedomPop's Freedom Spot or a feature on your mobile device. You connect your laptop wirelessly to the 4G or 3G mobile hotspot, much as you would connect to a wi-fi network or wi-fi hotspot. As with the other options, you'll need to subscribe to a mobile data plan for your mobile hotspot device—or if you may need to pay an extra "hotspot" fee to use the built-in hotspot feature on your smartphone. One major advantage of a mobile hotspot, however, is that you can typically connect more than one device to it for shared mobile Internet access. Pros: Usually can connect 5 or more mobile devices at once. Cons: Have to carry around a separate device (though mobile hotspots tend to be pretty thin and small, about the size and width of a credit card). Example: Most smartphones these days have a built-in mobile hotspot feature. The MiFi mobile hotspot made by Novatel is available on several wireless carriers. Learn about how to use your Android phone as a Wi-Fi hotspot to turn on Wi-Fi Internet sharing. Tethering is where you connect your cell phone to your laptop to use your cell phone's data service on the laptop. There are many tethering apps available to enable tethering via USB cable or Bluetooth, including the popular PdaNet app. Although many people have been able to get around additional tethering charges by jailbreaking their smartphones, most wireless providers are charging extra for the privilege of connecting your phone to your laptop. Pros: May be able to use the data plan you're already paying for on your cell phone without extra charges (otherwise, tethering charges are between $15-20). Cons: Tethering can be slow and drain your phone's battery more quickly. Example: Learn how to use your cell phone as a modem for tethering instructions for the major US wireless carriers. Which option is best for you? Besides heading to a wi-fi hotspot or Internet cafe for free Internet access, tethering is the least expensive option for getting Internet access on your laptop when you're not at home. If you have multiple devices or want to share a mobile broadband connection, a mobile hotspot makes the most sense. 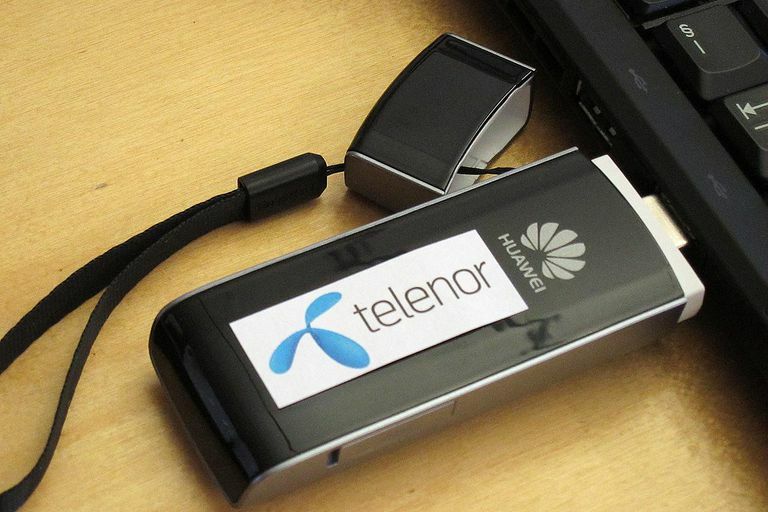 3G or 4G laptop sticks are also convenient and easy to use. Want to Use Your Cell Phone as an Internet Hotspot? What Is 3G Wireless Technology?